If you’re a lover of all things illustrated, such as textiles, clothing, accessories and artwork, I have a feeling you will love Bonbi Forest. The screen printed design brand is the brain child of Lee May Foster Wilson, a graduate in BA Hons Fine Art Painting. Retailing a cute and quirky array of scarves, jewellery, clothing, home and paper goods, it’s also an ethical brand, using hand screen printing onto fabrics using water based inks, which are much kinder to the environment than the ‘Plastisol’ inks used by many large manufacturers. The chain is fairly long so that the pendant sits fairly low, which is how I like my neckwear. 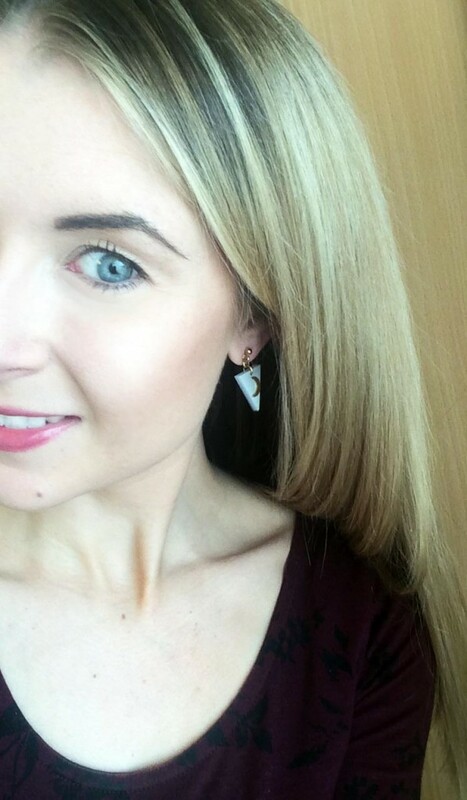 It features a small hammered brass star adorning a shimmering pearl white perspex triangle –super versatile to sit well with most outfits and occasions. 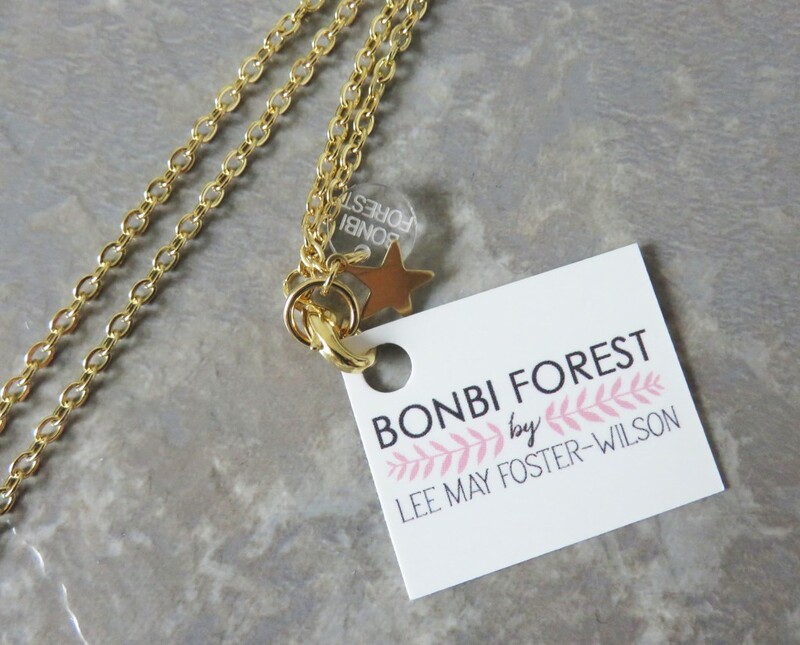 I find the jewellery from here has the nicest finishing touches, this style in particular is finished with a little brass star and clear Bonbi Forest tag. The Earrings are a perfect match and are so adorable. 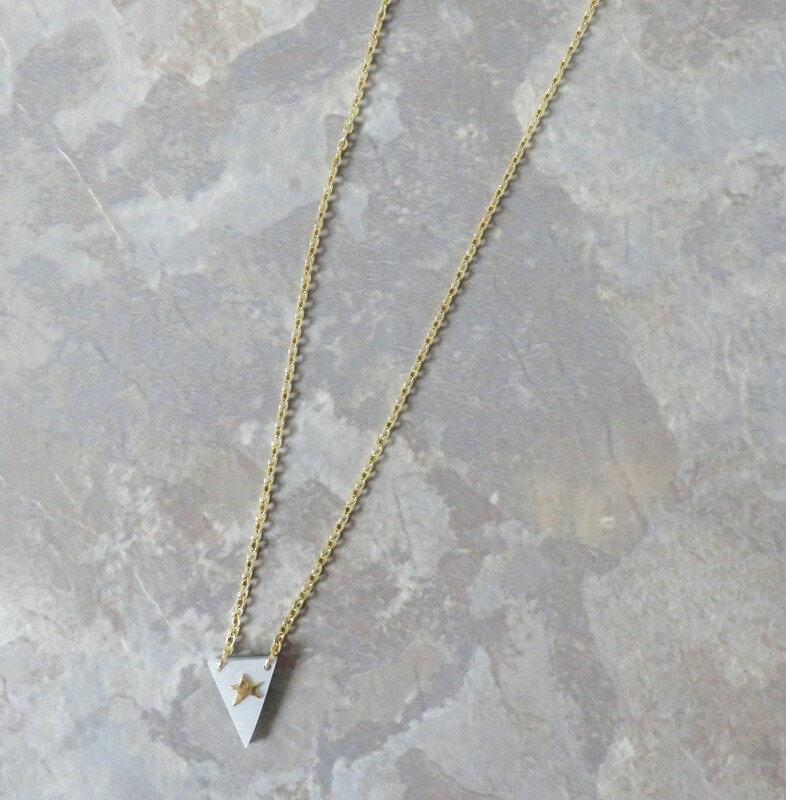 They consist of shimmering pearl, white perspex geometric triangles with a hammered brass moon and star on each, and drop from gold plated stud posts. 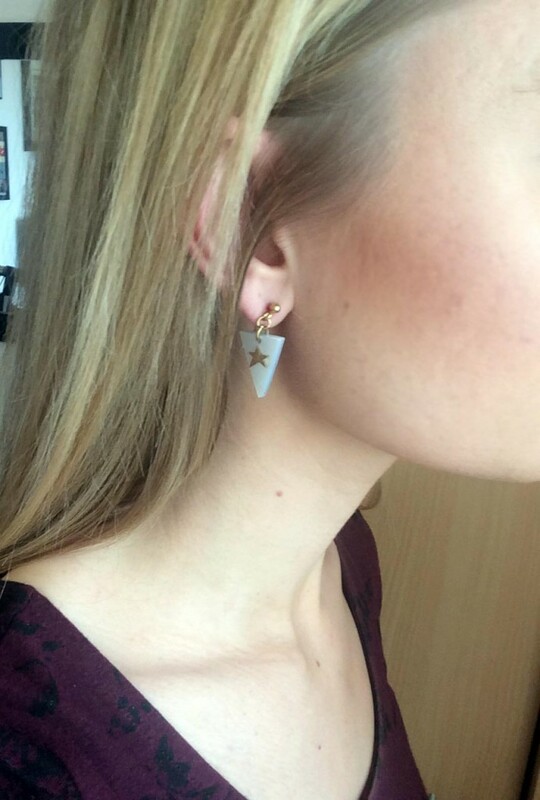 The back of one butterfly is adorned with a signature Bonbi Forest star, which looks so cute dangling down from behind my ear when I wear these. The brand really reminds me of a unique and individual place to shop gifts for those friends you may have who love shopping at boutiques, craft markets and from independent designers. It’s a real ‘gift’ brand in my eyes, with one off pieces you won’t be duplicating up with anyone else!